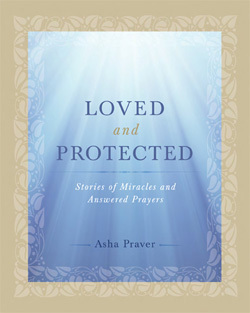 Loved and Protected: Why Me? I didn’t know, from one day to the next, what I would be able to do. I always meditated, but I never knew when I would have the energy to do it. Sometimes it was early in the morning; sometimes it was well past noon. That was life with my constant companions, Chronic Fatigue Syndrome and Fibromyalgia. I had moved to Ananda Village. The teachings and spiritual environment certainly made it easier to cope with my unreliable body. Still, I struggled. One Sunday, Swami Kriyananda had just returned from Italy and was giving the morning service for the first time in many months. With all my heart I wanted to be there. I was intensely disappointed when I woke up with the worst of my symptoms—like a terrible flu, except it is a chronic condition. In answer to my prayer, an inner voice said, “In a previous life you committed suicide.” A fragment of that incarnation passed before my eyes. My current family members were my children then. We lived together in a village which was invaded by fierce enemies. They were all killed. In despair, I took my own life. The present illness, I realized, was the necessary balance to that incarnation. The grief that drove me to suicide was understandable, and I could feel God’s compassion. Still, I had thrown away the privilege of human life, and the karmic consequence was that it would not so lightly be returned to me. This was a personal revelation, I hasten to add, not a universal explanation of why others might have this same condition. Each person must understand for himself his own karmic lesson. This explained a peculiarity of my childhood. I had always felt responsible for the safety and wellbeing of my parents and three siblings. Even as a young child I felt I had to protect them from a lurking threat I could never identify. In this lifetime my father committed suicide. He was a professor, a dear and wonderful man, who was forced to give up his teaching career when he reached the mandatory retirement age for his university. Lonely and without purpose, he fell into a deep depression and took his life. It was a terrible shock. Now I understood that God wanted me to experience the pain suicide inflicts on others. After this revelation I tried to learn as much as I could of the Self-realization teachings about suicide, karma, and reincarnation. Suicide is a plunge into the darkness. The antidote is to live in the light. Soon that became my life purpose and my way of coping with my condition: moment-to-moment, day-by-day, living in the light. Suicide is an act of supreme ingratitude. God gives us life, and with it, the opportunity to know Him. Yes, He tests us, sometimes greatly; but He is no tyrant. With every test comes His blessing; the greater the test, the greater the potential blessing. Everything I read about gratitude struck a deep chord within me. Gratitude itself became a way for me to stay in the light. There was no miracle healing for me, but in almost miraculous ways more effective treatments came to me. What had been my constant companions, Chronic Fatigue Syndrome and Fibromyalgia, now intrude on my life only occasionally. While I don’t exactly welcome their infrequent visits, I accept with gratitude whatever God sends.